AudioCodes’ Universal Communications Architecture (UCA) solution fulfils an important role in the digital workplace transformation process, enabling large enterprises with disparate multi-vendor communications systems to modernize their voice networks efficiently and cost-effectively. 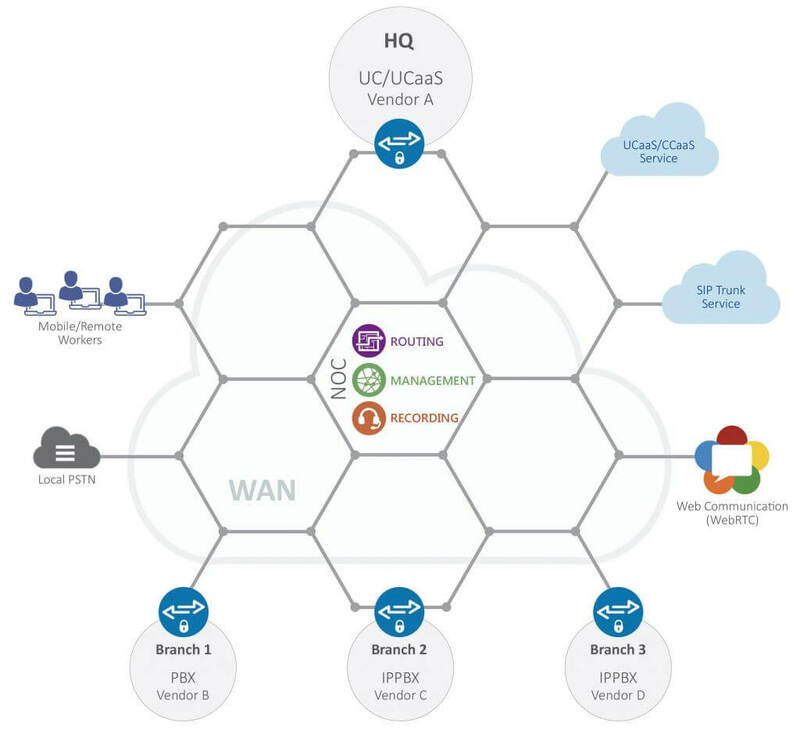 UCA achieves this through consolidation of communications silos, connectivity with SIP trunk services and utilization of the corporate IP network to optimize call routing. UCA employs session border controllers (SBCs), global end-to-end call routing and policy management, and AudioCodes’ advanced VoIPerfect voice technology to enable the creation of a universal network that offers high voice quality, without having to replace existing platforms. The end result is a future-proof voice infrastructure that is easy to manage, maintains corporate security, and delivers significant capital and operational cost savings.